We stopped at the Grill for a bite of lunch. We found the restaurant based on their Tripadvisor rating (36/127). We sat at the front of the restaurant with a view of the street and a breeze blowing in from an open window! This is a BIG happy for a Texas girl. We don’t eat with the windows open in Texas in July. The aioli would spoil and the lettuce would wilt. The menu had a great variety of mouth-watering choices: seafood Louie salad, grilled Castroville artichoke with chicken salad, wild mushroom ravioli and salmon BLT. I opted for the bibb lettuce and Gorgonzola salad. It was the ultimate! 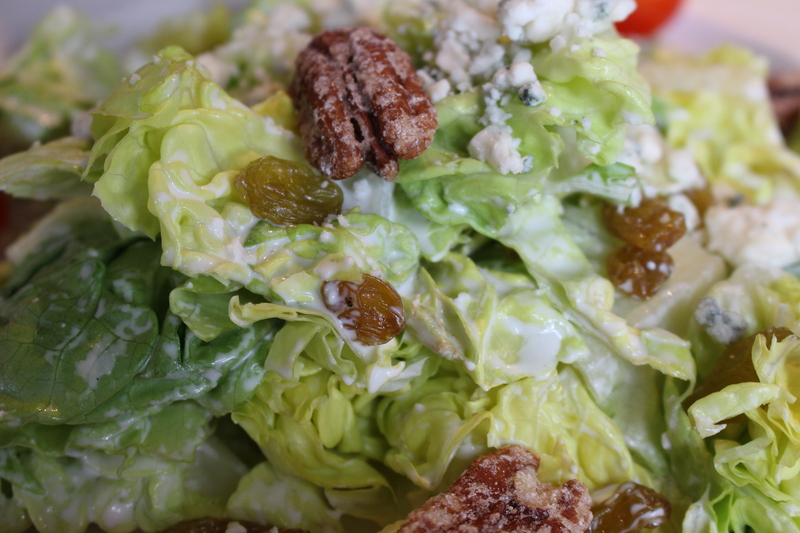 The lettuce crispy and cold, the raisins golden and sweet, the pecans crunchy with a kick and the Gorgonzola buttery and fierce. Honestly..,one of the top 5 salads I have ever had. 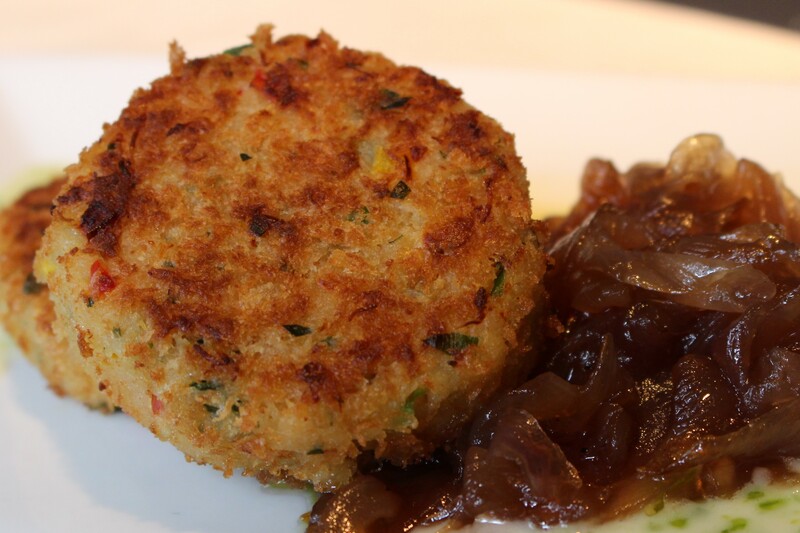 Daughter ordered the Dungeness crab cakes. No surprise here; I think she ate crab every other meal. These were her favorite of the trip. She did not care for the caramelized red onions, but I ate every single one. They were yummy. Mother ordered the two-slice country club. Do you see a pattern here? Daughter digs crab and Mother loves a club. The club was another hit. Two slices of bread rather than three? Wish I would have thought of it. I usually take one slice off anyway. 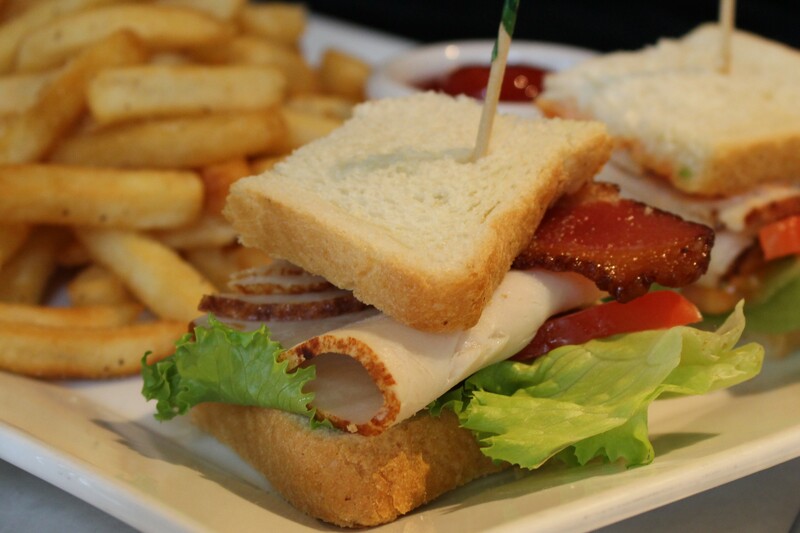 The sandwich was elevated to another level with Applewood smoked bacon, avocado and tomato-basil aioli. This place was one of our top restaurants of the entire vacation. I want to go back and try the grilled Castroville artichokes with chicken salad. I spied it on another table and it looked luscious.